Fellow fans of Svengoolie from coast-to-coast will be jumping for joy this Sat. as he will be presenting a Universal science fiction epic from 1955. 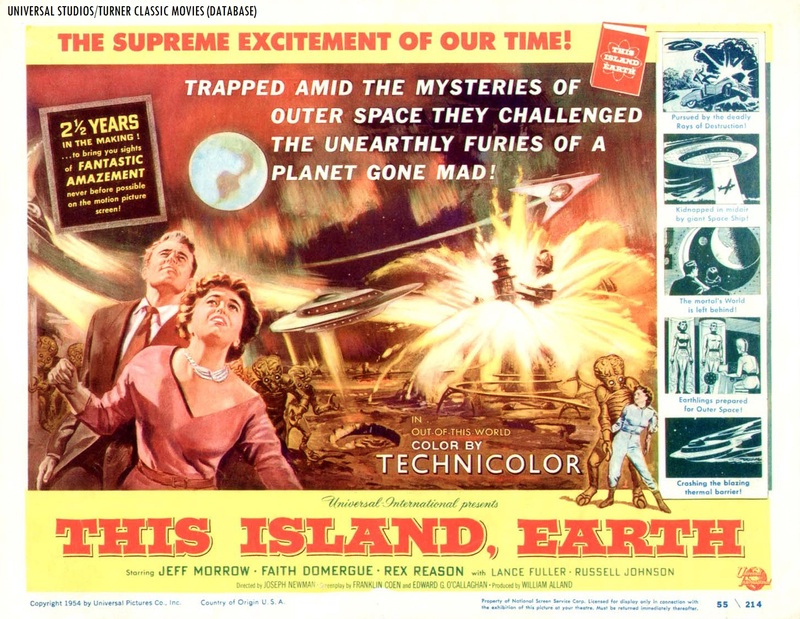 The iconic Berwyn/Chicago-based horror host will be showing “This Island Earth” (1955), this Sat., June 24 at 10 p.m. Eastern/9 p.m. Central on Me-TV. The film was directed by Joseph Newman. The screenplay was written by Franklin Coen and George Callahan (who received credit as “Edward G. O’Callaghan”). The film was adapted from Raymond F. Jones’ novel of the same name. This isn’t the only time that Sven has shown “This Island Earth” on Me-TV. He had previously showcased Newman’s film back in Oct. 2012 (Me-TV was unavailable in the Frederick/Washington, D.C. television market until early 2013), April 2015 and Jan. 2016.